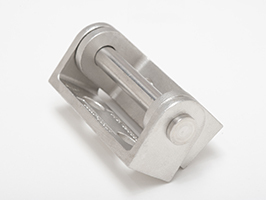 Our Heavy Duty Stainless Steel Pintel Hinges are cast from marine grade Type-316 stainless ¼” thick. These Pintle hinges have pre drilled holes to accommodate 3/8” diameter fasteners. 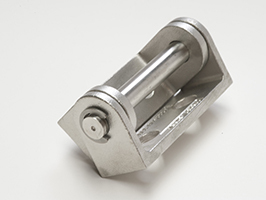 We recommend Huck Style Lock Bolts for secure tamper proof installation. 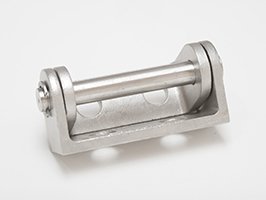 Pin size is 3/8” and the pins are held in place with a retainer clip that is removable but can be welded in place after installation if tamper proof is required.